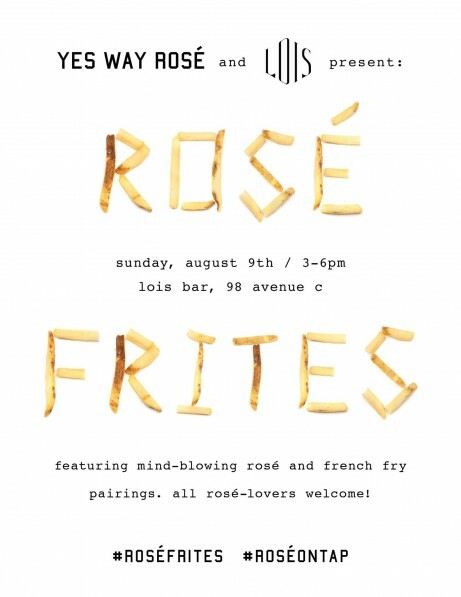 Lois, the (newish) wine bar featuring wine on tap and small plates, will be hosting an event to celebrate Rosé and frites this Sunday from 3-6pm. 98 Avenue C btwn. 6th & 7th St.